This week ushers in the month of August. Summertime is winding down and vacations will be coming to an end. Back-to-school time is near! It's a time that many children eagerly anticipate - catching up with old friends, making new ones and settling into a new daily routine. Parents and children alike scan the newspapers and websites looking for sales to shop for a multitude of school supplies and the latest clothing fads and essentials. According to the Census Bureau, $7.2 billion was spent at family clothing stores in August 2009. Only in December do retailers see significantly higher sales. With economic times still tight for most American families, consumer money resource Bills.com gathered this short and simple list for those looking to stay on budget and not break the bank while back-to-school shopping. Many stores are suffering from less than anticipated consumer spending over the last few months, and are planning major sales to clean out inventory in advance of Fall shipments. This first week is key to getting a jump on sales by shopping before the early part of back-to-school season. Look for clothes, technology, dorm furniture, and more on major discount over the coming weeks at major retailers. Times are still tough and deals can be found. Grocery store aisles and thrift stores are a great place to find new or slightly used school supplies. Clothing exchange stores are also a great place to make sure your fashion forward teen or college student has great threads at affordable prices. Don't let convenience trump good dollar sense. If your family is on a budget and dollars are more important than minutes, crunch the numbers to make sure school lunches are as economical as packing a lunchbox. And if you are packing a lunch, be smart in the grocery aisle - sandwich fixings might add up to much more than some prepackaged healthy lunch options. Those families in bad economic circumstances can often apply for assisted or free lunches through some school programs. Take the time to do the math and research your options. Take advantage of recycled clothes and supplies on both ends. Look to eBay, Craiglist and thrift stores for school supplies like calculators, lunchboxes, notebooks and more. Many uniform schools hold used clothing sales before and after school sessions. And school bookstores or college textbook companies will also sell used books. But don't just buy recycled goods - sell your own. At the end of each school year, fashion season, or growth spurt; be sure to sell the items you no longer need at garage sales, on eBay, or to official recyclers to help jumpstart next year's budget. Plan home cooked meals that result in leftovers or ready-made secondary meals for kids and parents' lunches. By planning ahead and avoiding takeout at the end of an exhausting day, families can eat healthier, save money, and find time to connect at the end of each day. 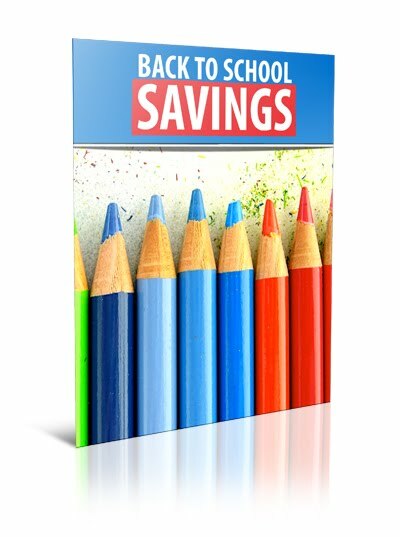 Bills.com and The One Income Dollar want to be sure you think through the steps you'll need to follow in order to have stress free and organized back-to-school season. These are some great ideas! Thanks so much for sharing. I am absolutely in LOVE with your site- I will definitely be viewing more often :) I've also been using this article for specific back to school deals and other money saving tips: http://morewithlesstoday.com/need-to-save-money-on-back-to-school-shopping/. More with Less Today is another great site with tons of daily coupons and freebies. Love this site, thanks for sharing! Always good to learn about more frugal sites- and thank you for your comment!